Driver's-side and passenger's-side electric brakes are 12" x 2". Durable friction material provides improved braking and longevity. Dacromet-coated backing plates are corrosion resistant. Fit 14-1/2" to 16-1/2" wheels. Lowest Prices for the best trailer brakes from etrailer. 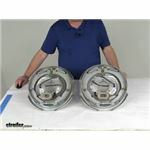 Electric Trailer Brake Kit - Dacromet - 12" - Left and Right Hand Assemblies - 5.2K to 7K part number AKEBRK-7-D can be ordered online at etrailer.com or call 800-298-8924 for expert service. 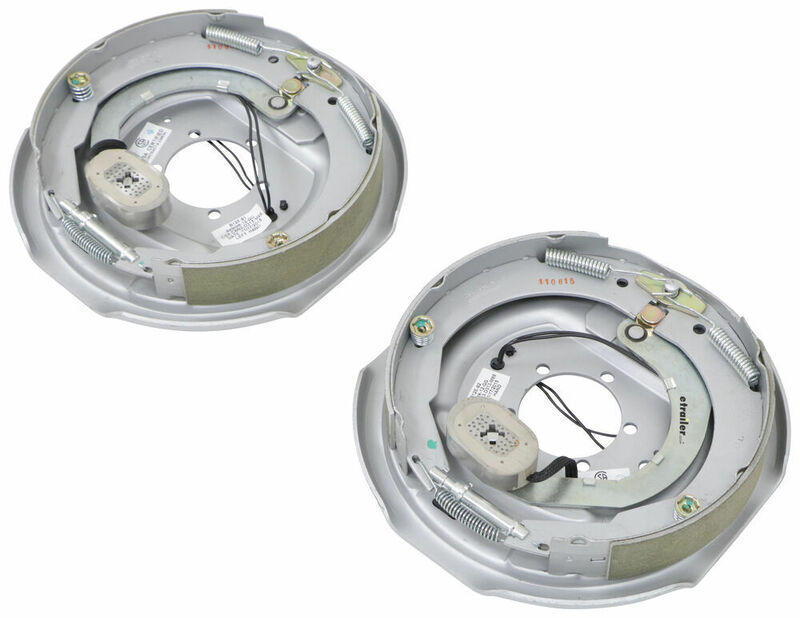 Driver's-side and passenger's-side electric brakes are 12" x 2". Durable friction material provides improved braking and longevity. Dacromet-coated backing plates are corrosion resistant. Fit 14-1/2" to 16-1/2" wheels. Wheel size: 14-1/2", 15", 16" and 16-1/2"
Order: RelevanceNewestRating - High to LowRating - Low to High Driver's-side and passenger's-side electric brakes are 12" x 2". Durable friction material provides improved braking and longevity. Dacromet-coated backing plates are corrosion resistant. Fit 14-1/2" to 16-1/2" wheels. 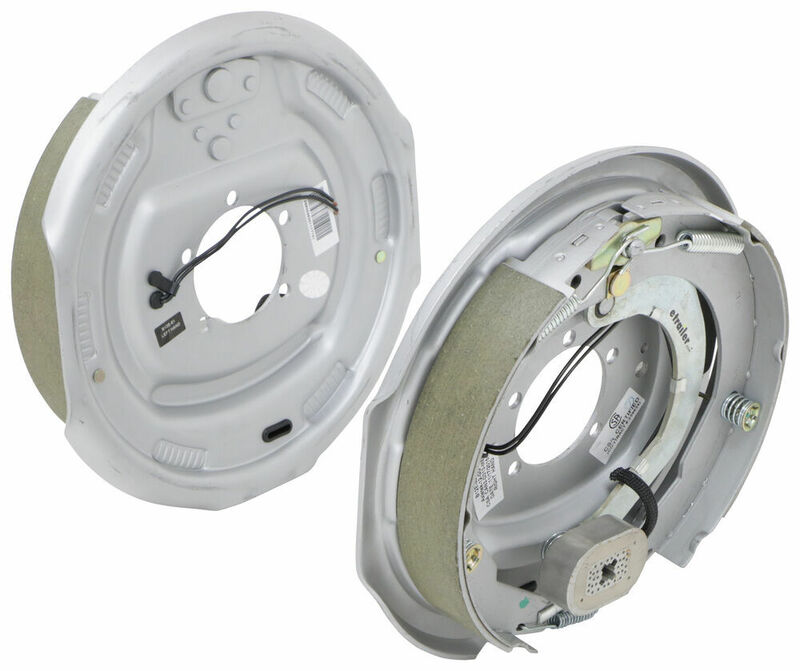 The Electric Trailer Brake Kit part # AKEBRK-7-D is exactly what you need to replace the 12" diameter x 2" wide electric brakes on your horse trailer with AL-KO 6,000 lb axles. 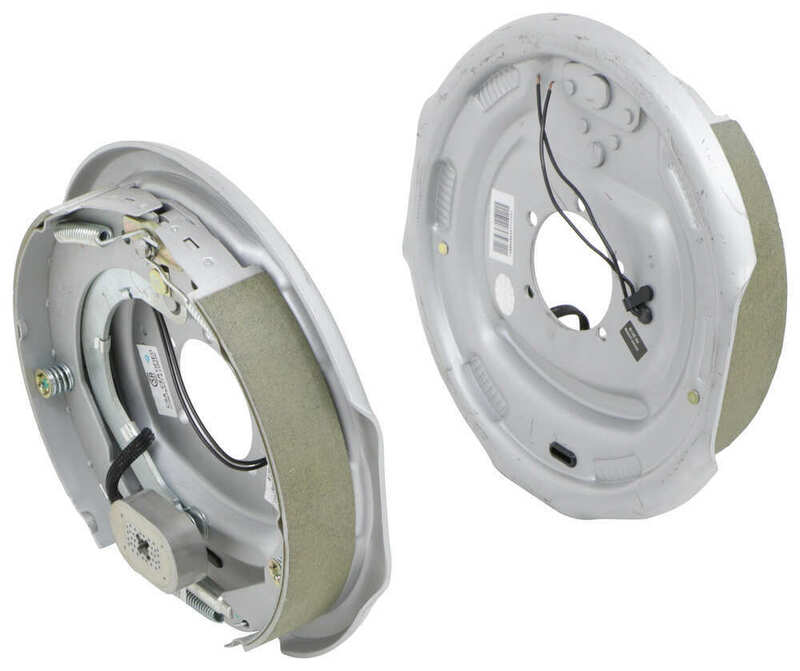 However, the dacromet finish is only really needed for boat trailers so you can save some money by using the Electric Trailer Brake Kit part # AKEBRK-6. Electric Trailer Brake Kit # AKEBRK-7-D will be more suitable for saltwater applications that traditional brakes. This is because of the corrosion resistant properties of the dacromet coating. That puts them somewhere between stainless steel and galvanized steel. I recommend with these or any brakes you choose to rinse them off with fresh water once you are done for the day so as to prolong the life of the brakes and not run into the problem that you are having now.